The Hunt Institute is a strategic catalyst for transforming public education and securing our country’s future. Using their depth and breadth of knowledge, The Hunt Institute brings together the right people and resources to facilitate critical dialogue and mobilize action on the issues that matter in education. 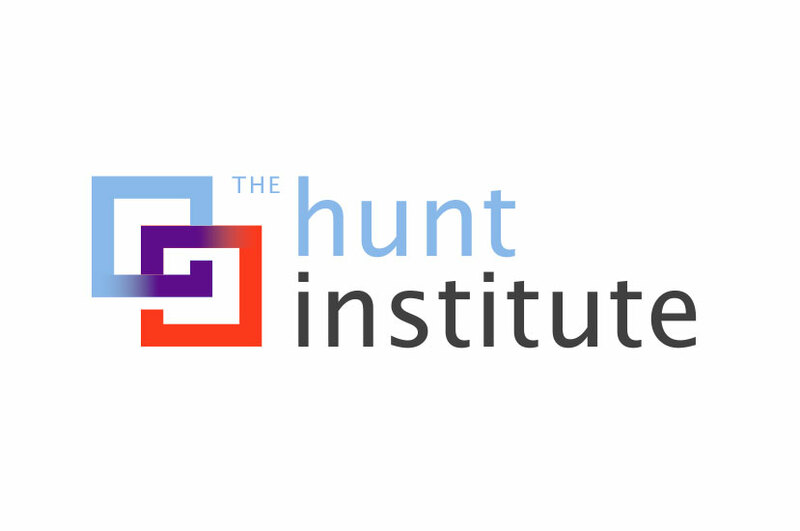 The Hunt Institute logo is representative of those missions. The logo for this organization reflects that sense of cooperation and multifaceted blending of ideas and perspectives. By literally blending the reds and blue of the intertwined squares on the page, we created something both symbolic and aesthetically pleasing. This logo is energetic and lively.